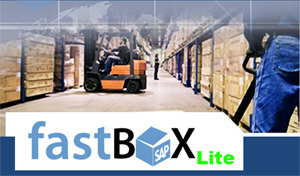 FASTBOX Lite is a pre-configured ERP Solution that is comprehensive and fully integrated to address the business challenges in the Distribution Industry. It is an end to end business solution that realizes the value of your money in as fast as 15 weeks. What are the benefits of FASTBOX Lite? What business processes are covered in a FASTBOX Lite? FastBox comes with SAP Sybase ASE that offers SAP customers a high performance database platform optimized for SAP RDS that help improve operational efficiency and significantly reduce overall costs. 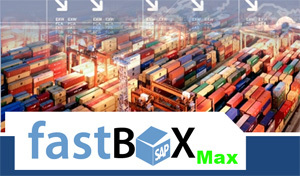 FASTBOX Max is an advanced ERP Solution that compliments the features of FASTBOX Lite, giving you more flexibility in addressing the needs in Distribution and Logistics. This is implemented in as fast as 17 weeks. What are the benefits of FASTBOX Max? What business processes are covered in a FASTBOX Max? * Does not include license for Mobile Device. ** Bar Code machine not included.